DUBAI: Doctors in the UAE have warned the public against the dangers of smoking e-cigarettes, after the Ministry of Health and Prevention issued a health alert in the wake of several seizures being reported among e-cigarette users in the United States. 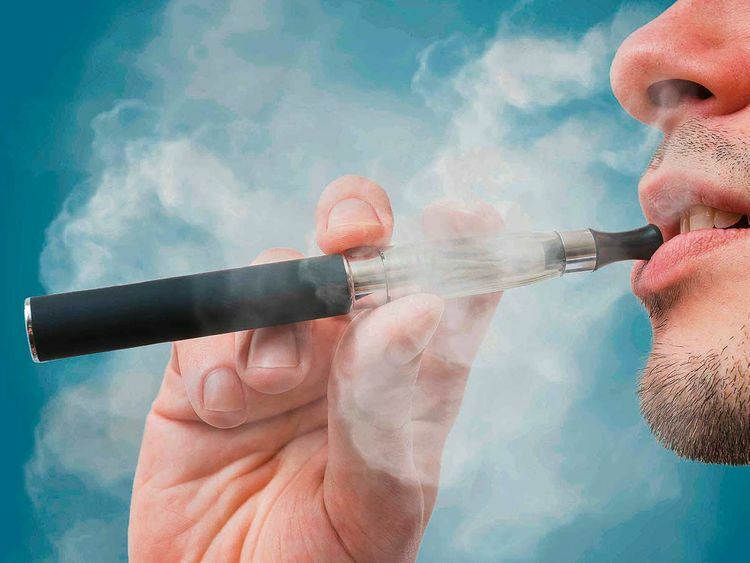 According to western media reports, the Food and Drug Administration in the US is reviewing these reports of seizures among e-cigarettes users, mainly in young people, to see if there a definitive link. “I am not surprised, it was just a matter of time before we could see all the bad effects of vaping,” Dr. Elie Abdallah, Consultant Pulmonary and Sleep Medicine at Mediclinic Welcare Hospital, told Gulf News. I am not surprised, it was just a matter of time before we could see all the bad effects of vaping. He said e-cigarettes need more stringent regulations than regular cigarettes as their side effects begin to unravel. He said e-cigarettes are a huge public health concern because very young children use them as a precursor to having the real thing, since they elude smell and detection by teachers and parents. Dr Sunil Vyas, Specialist, Pulmonology, at Aster Hospital, Al Qusais, explained how e-cigarettes, essentially electronic devices, heat a liquid — usually comprising propylene glycol and glycerol, with or without nicotine and other flavours stored in disposable or refillable cartridges or a reservoir — into an aerosol (vapour) for inhalation. In 2006, media campaigns promoted e-cigarettes as safe and helpful in smoking cessation, but the number of non-smokers using e-cigarettes significantly increased over time. He said, “In 2006, media campaigns promoted e-cigarettes as safe and helpful in smoking cessation, but the number of non-smokers using e-cigarettes significantly increased over time,” he said, adding how their detrimental effects began to surface between 2012 and 2014. 1. Ask patients about e cigarettes use (eg vaping) particularly when providing care for seizure.